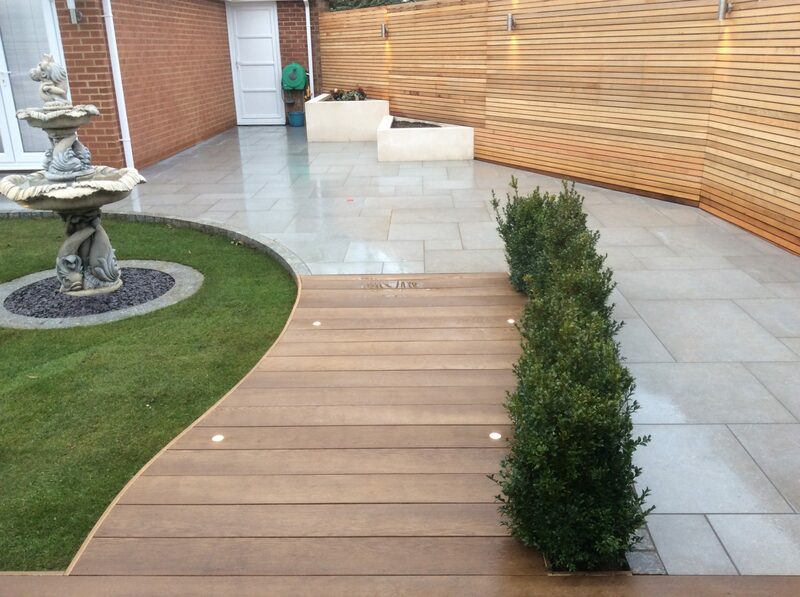 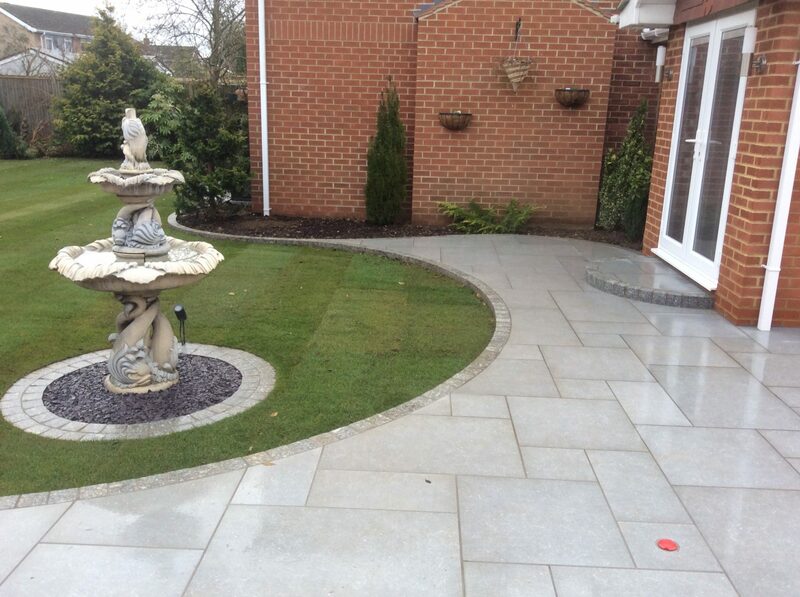 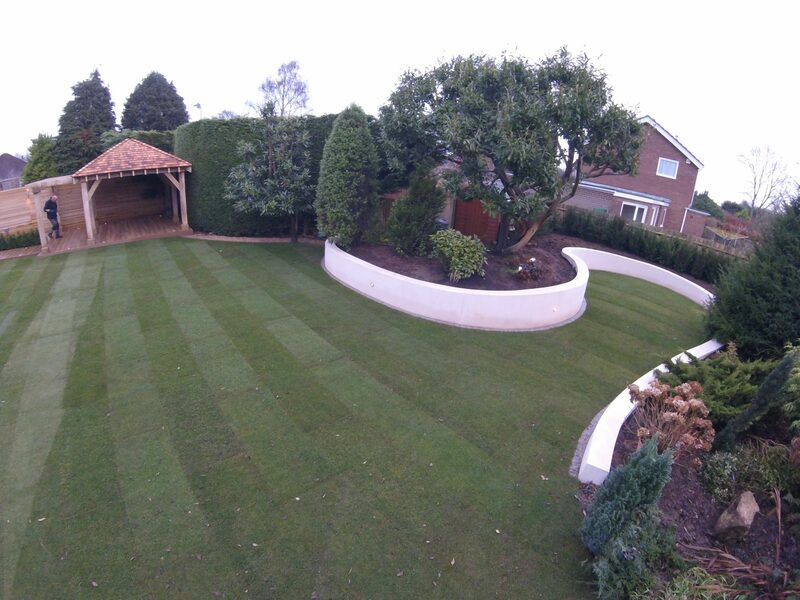 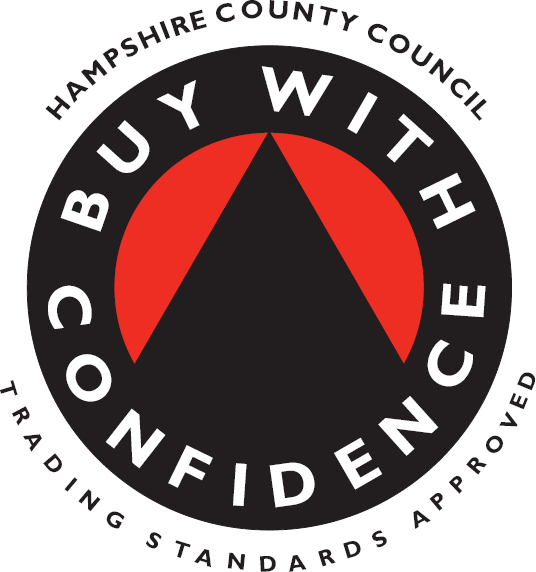 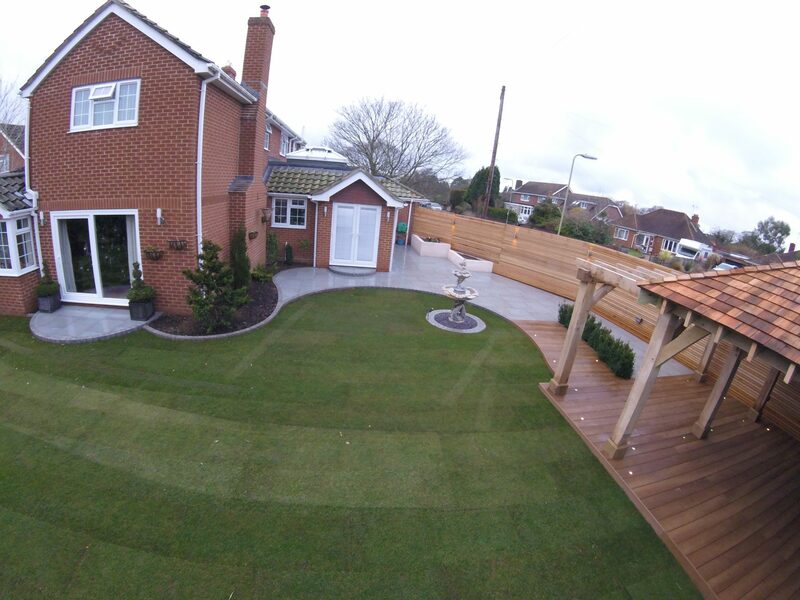 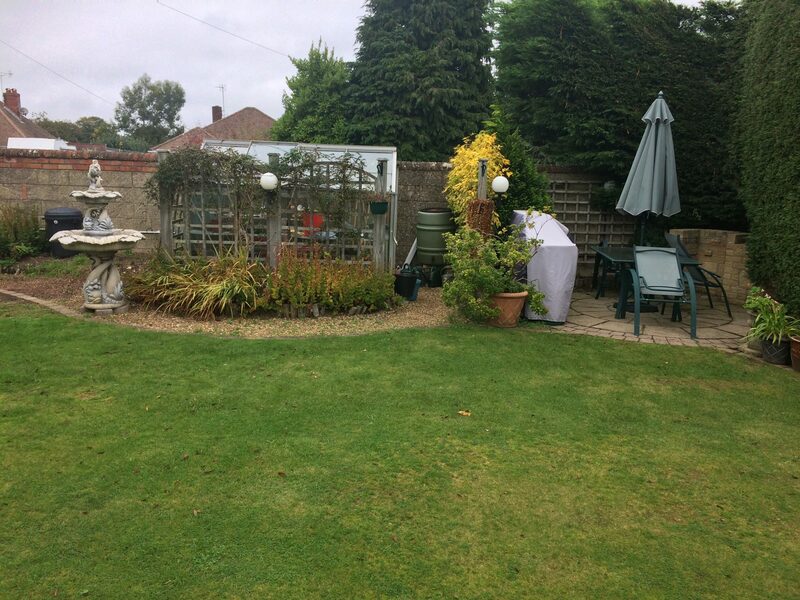 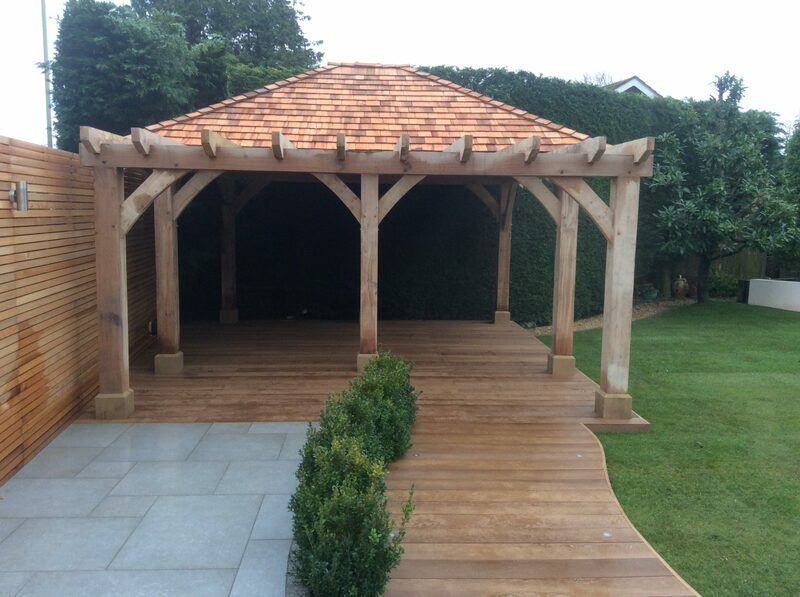 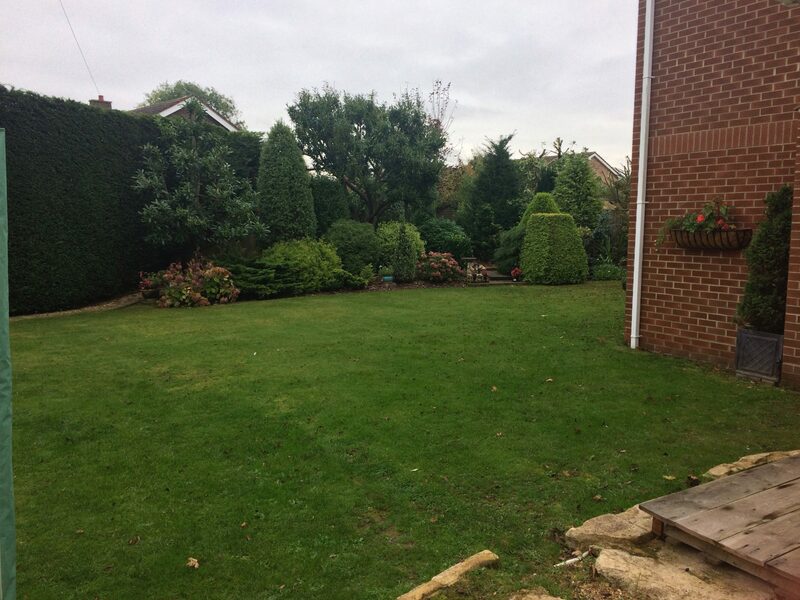 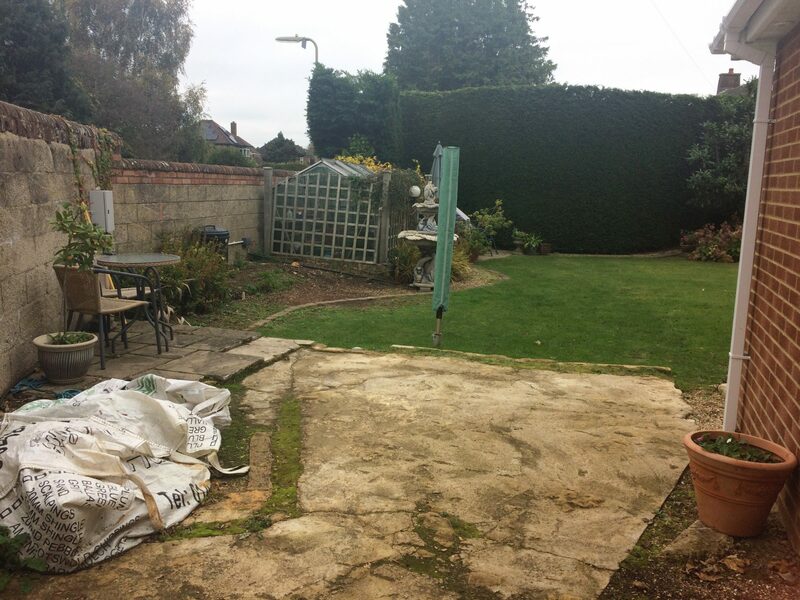 This was a complete front and back garden re-design and makeover near Fareham. 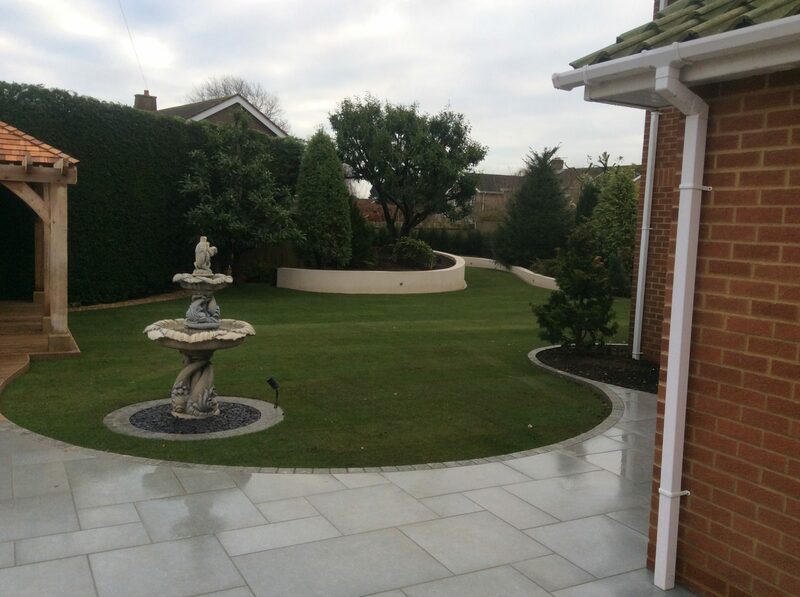 The back garden had been previously landscaped, but had outlived its original brief and the client wanted something new. 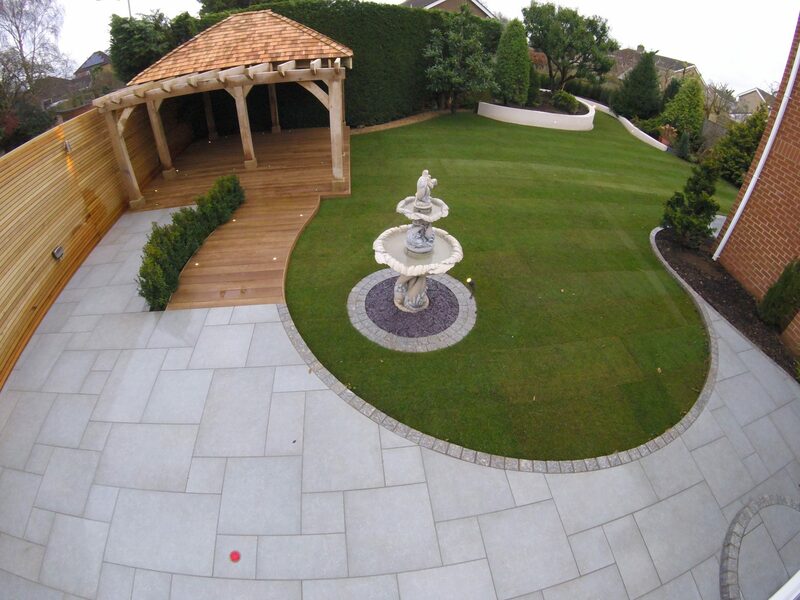 The original concept was from a design from a third party company, however, the design did not meet the clients requirements, so I re-designed the garden, based on the original plan. 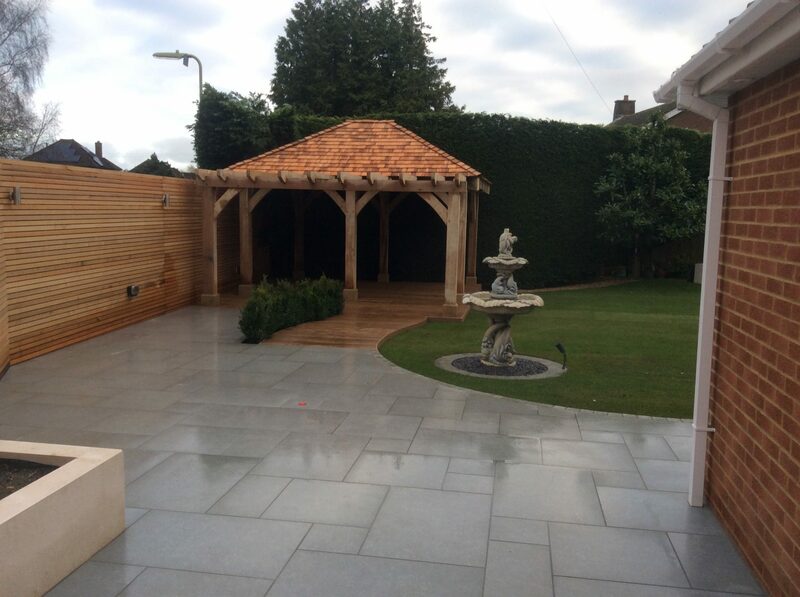 The paving is Marshalls porcelain, edged with granite setts from and Cedar cladding from Southgate Timber dresses the old concrete block wall. 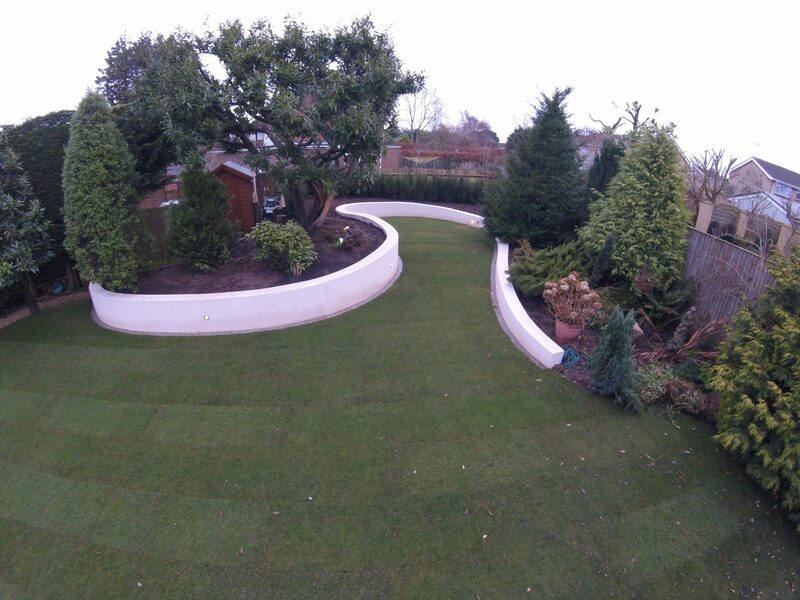 The curved theme is replicated with the feature rendered wall, which involved the removal of over 100 tonnes of earth. 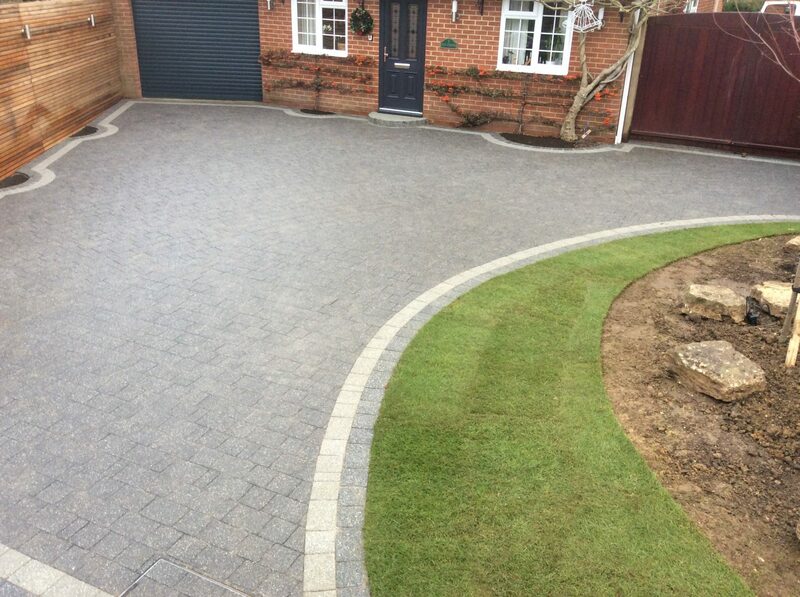 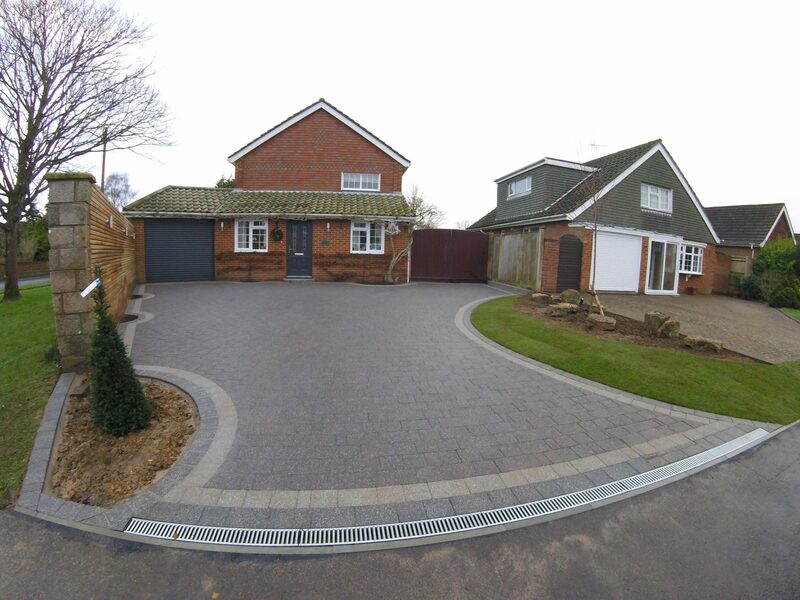 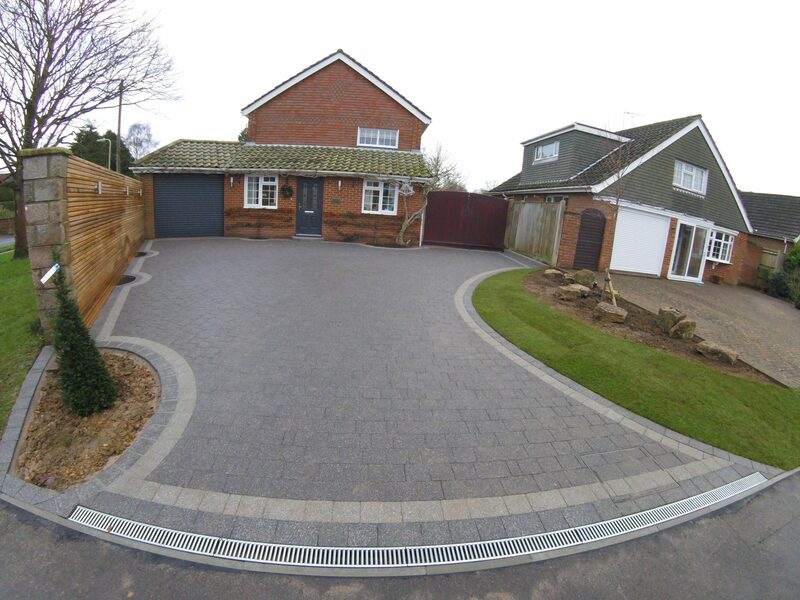 The old front garden, with the tatty old drive and concrete block wall was replaced using Marshalls Argent block paving for the drive, incorporating a ‘sail’ pattern in the drive, as the client loved time on the water, extended with the grass edging. 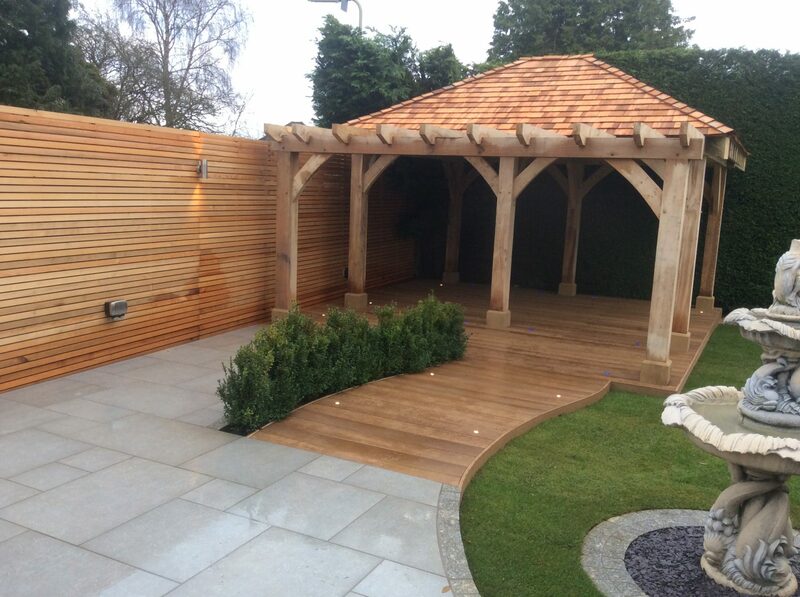 The old wall was dressed with Cedar.